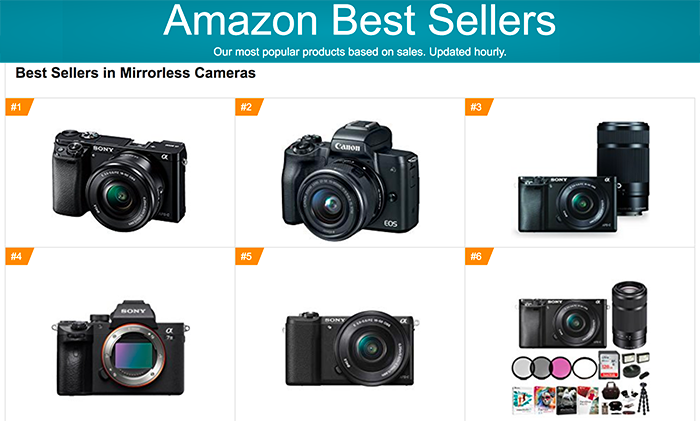 Image on top shows the current best seller list at Amazon US (note, it changes hourly). EOS-M50 sells well despite lack of lenses in their lineup. Photography is a simple game, at the end Canon always win. UDPATE: This is not about being pro or against Canon. This post is only to say that now that we have more or less three similar FF camera systems with Canon-Nikon-Sony most people will choose for the brand that has the most glorious history in the past 20 years. previous post: Here you have the leaked EOS-R specification PDF file!